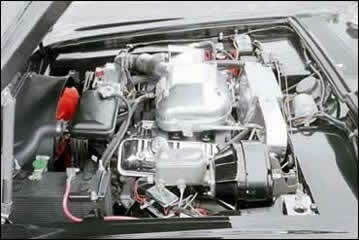 Studebaker Avanti engines were designated as R1 (non-supercharged) or as R2 (supercharged). 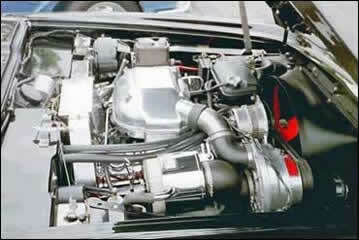 The superchargers were manufactured by Studebaker's Paxton Products Division. The blower provides 5 lb. of boost and is accompanied by a lower compression ratio, 9:1, and a dual breaker ignition system. In addition to the R1s and R2s, the 64 production models included 9 cars designated as R3s. The R3s were hand built racing engines. R4s were a non-supercharged version of the R3s. The experimental "Due Cento" with the only R5 dual supercharged engine built by Paxton reached 196.62 mp. 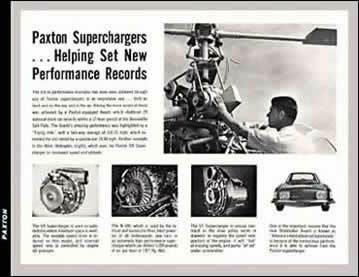 Paxton superchargers enhanced the R3 and R4 engines. 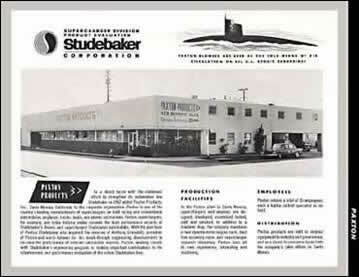 Paxton Products was owned by Studebaker. Supercharger from the passenger side. Supercharger from the driver side.